Spend Sunday afternoon at Festival Peachtree Latino. Ana Barbara is the Queen of the festival. Sunday is an international day. Start of with brunch at Atmosphere, a French bistro with fantastic food. Then, head over to the 12th annual Festival Peachtree Latino for great food, great entertainment, and a great taste of Atlanta's Latino culture. Finally, head to JCT kitchen in West Midtown for their Sunday Supper, a prix fixe southern-inspired menu selected and prepared each week by JCT's Chef Ford. Festival Peachtree Latino is the star event of the day. Based in Piedmont Park, the festival’s upbeat and spicy atmosphere is a showcase of the diversity of the city and the importance of bringing cultural experiences to the public, regardless of background. Featuring a wide array of musical entertainment, including salsa, cha cha and mambo, this celebration is sure to keep your spirits high and your feet tapping. A parade starts off the festivities every year. From there, sample some delicious cuisine and take in the Latino culture at its best. The festival is from 11:00 a.m.-8:00 p.m. You can listen to live music by Jerry Rivera, Ana Barbara, Milly Quezada, El Cata, WIDY, Local 34 & more. Plus, there’ll be an Arts & Craft Alley, exhibitors, a Kids Zone, an international food pavilion, and more. The festival is free. Bring about $30 for food, drinks, etc. First: Atlanta is brunch country, and Sunday is prime time. Here's what you do. 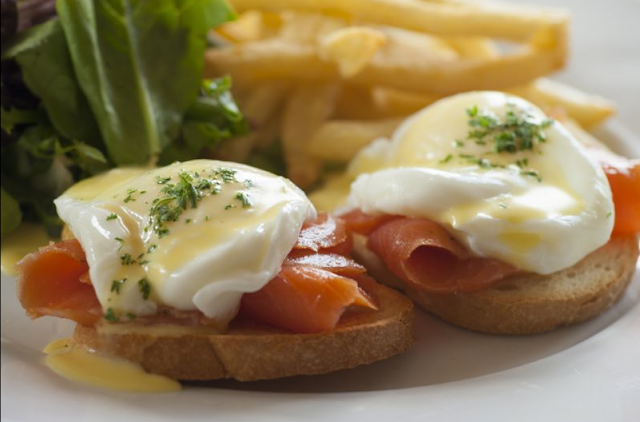 Head to Atmosphere for a truly French brunch experience. 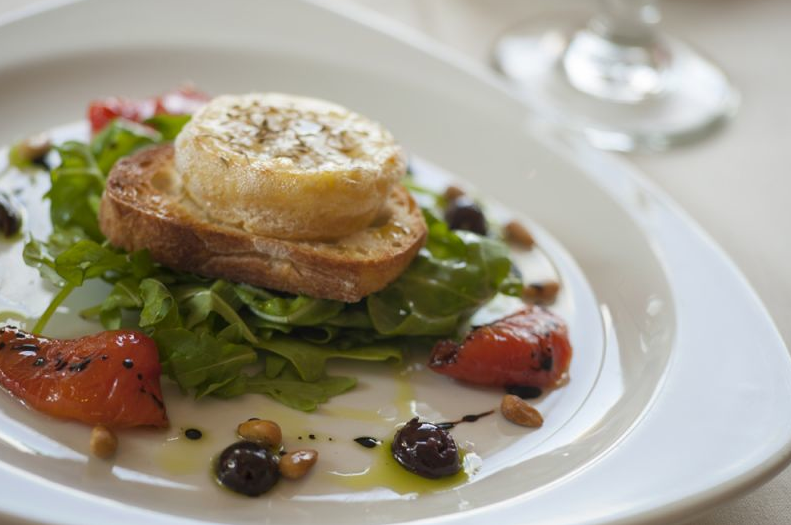 We went recently and had the chevre croton - Melted aged goat cheese with arugula, marinated tomato, balsamic, thyme and pine nuts. So good. Then, we had the croque madame - ham and melted Swiss cheese sandwich served with mixed greens and French fries. This was just amazing. The perfect meal to start Sunday. We started with mimosas, and finished with a glass of bordeaux. Excellent. About $35 per person. Chevre Crottin at Atmosphere is a great start to Brunch. The Eggs Benedict at Atmosphere is fantastic too. Give it a try! Second: Festival Peachtree Latino. It's just down Piedmont from Atmosphere. Go have fun! $30 to eat, drink, and shake! Third: Take a post-festival siesta. You'll be tired after all that great entertainment. Get some rest. Follow the perfect bed rules. Finally: Chef Ford puts on a regular Sunday Supper at JCT Kitchen, and it's totally worth it. A $24 prix fixe menu will bring you a table amuse bouche, a starter, choose a meat & three sides for your entree - choose a meat and three sides, and a dessert. The choices are outstanding. 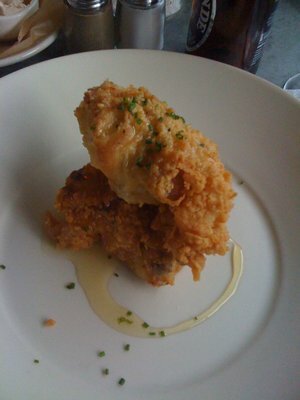 JCT's famous fried chicken. Pork chops with bacon jam and pork jus. Gumbo with smoked sausage and seafood. Mac & Cheese, locally raised vegetables like brussel sprouts or roasted root veg. Divine. Go sit back in the JCT ambiance, and dine. ($40 per person). 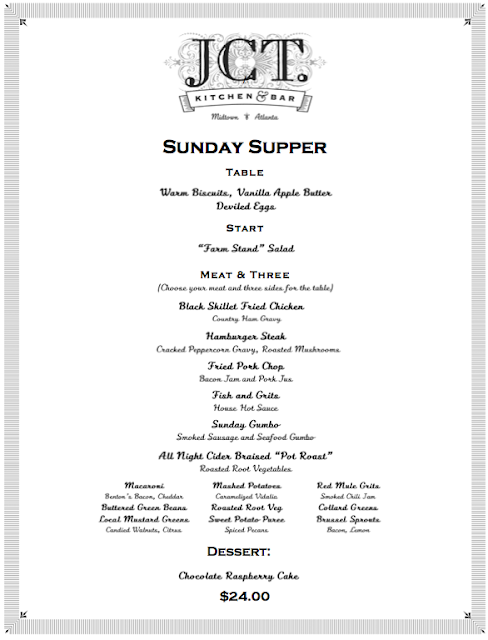 The Sunday Supper Menu at JCT Kitchen. It changes each week, but the tastiness doesn't. JCT is known for their friend chicken. Keep an eye out for our Atlanta Fried Chicken Smackdown coming soon.